Get a low mileage crew truck for your business or fleet with this 2016 Ford F-150 XLT Supercrew 2WD short box. 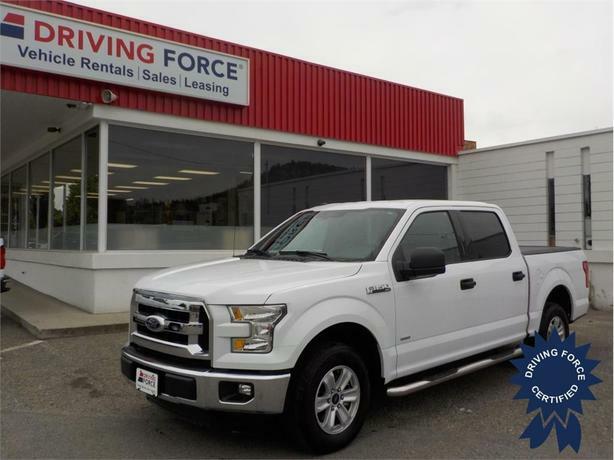 Features include Bluetooth hands-free calling, fuel efficient 2.7L EcoBoost V6 gas engine, backflip tonneau cover, 5.5-foot box, alloy wheels, fog lights, chrome grill, chrome bumpers, cloth seats, 40/20/40 front seats allowing up to six passengers, AC, tilt, cruise, power windows, power door locks, balance of factory warranty, CarProof verified, and has been certified to our high standards. Come see why we are a leader in fleet truck sales and experience the DRIVING FORCE difference today.